I often get asked about a good home program that you can do at home on the days you can't make it to the studio. So, I wanted to share with you a 20 min sequence that works on the mobility of most of your joints and also really gets the core muscles working! This is a good general workout, that works most large areas of the body in a fairly balanced way, not overworking one and neglecting another part. Start with a few breaths of lateral thoracic breathing, which will wake up the ribcage and abdominal muscles. For the exercises Roll Up, Swimming, Plank, Side Plank, Upward Plank choose any variation that works for you. When you get stronger, you can exchange the easier version with a more difficult one. More is not more! It is the quality of your movements that is most important and not how often you do each exercise. It is much more effective to do one exercise well, rather than doing all of them in a rush, with poor form and sloppy movement patterns. Stop or take a break, if you feel like you're not completely aware of your form. Repeating an exercise with poor form could potentially hurt you. Ask for help, if you feel you’re not able to tell if you are doing the movements correctly. The investment for getting clear instructions from a trained teacher, far outweigh the emotional cost of years of frustration, and potentially never-ending pain and discomfort. Schedule your private sessions with one of our teachers if you prefer to work out at home. Keep in mind, you need to be very in tune with your body and make sure you're doing all of the movements correctly. Hope this is motivation for you to be consistent in your Pilates practice, even on the days you can't make it into the studio. 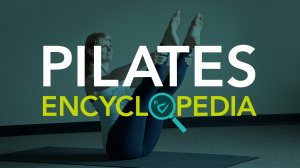 Is Pilates right for me and my body?